Mohamed Salah has not been able to catch up to the levels he set last year, which has critics believing that the Messi-Ronaldo comparisons may have adversely affected him. 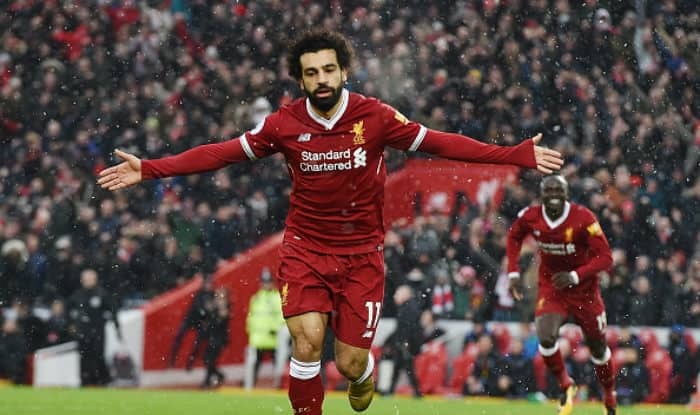 Liverpool forward Mohammed Salah took the footballing world by storm in the season gone-by — winning the Premier League’s ‘Player of the Year’, ‘Golden Boot’ as well as the ‘African Player of The Year’ and ‘Puskas’ award — he delivered the highest level of performance and his records matched the likes of Ronaldo and Messi – something no other footballer has been able to achieve in the recent years. This season, however, despite his impressive contribution in terms of goals and assists, the Egyptian has not been able to match the bar he set last season. In the 2018 campaign, he sailed his way to all the records while this time, there are five footballers including him, who are competing for the golden boot – Aguero tops the list with 18, while Arsenal’s Aubameyang, Spurs’ Kane, Salah and his Liverpool colleague all remain tied with 17 goals each. Reflecting on how the current season is panning out so far, former Liverpool striker Emile Heskey believes Salah is trying too hard this season and the comparison of him with the five-time Balon’Dor winners Messi and Ronaldo may have affected his form adversely. “He’s still got 17 goals [in the Premier League], so he’s not having that bad a season but he’s probably just trying a little bit too hard. He’s looking at the season before when he was scoring all these goals, confidence was high, things were ricocheting then going in,” said Heskey. “There are times when he should be passing the ball but he’s wanting to score himself. That is the danger. When you’re going through that patch you need the balance. You need to know when to pass the ball when to take the shot.